Indulge in exquisite and timeless traditional delights as Marco Polo hotels in the Philippines showcase special mooncakes, straight from the Pearl of the Orient. Savour these delectable treats, as gifts or for sharing with the special ones, this celestial celebration at Lung Hin, Marco Polo Ortigas Manila. Hailed from the legend of the archer Hou Yi, it is believed that he became a hero for shooting nine out of ten suns that caused extreme heat, which is unbearable for the people. This became the reason he became famous, even in the farthest areas. As his token for this act, the queen of heaven gave him an elixir of life, which will make him a god once drank. He later gave this potion to his wife, Chang ‘E, to keep. A local who learned about Hou Yi’s patriotic act saw the gift that he had given Chang ‘E, and tried to steal it. But due to her fear, she drank it, causing her to fly up to the sky, and into the moon, the closest from earth. Hou Yi learned about this and has been shouting his wife’s name when he saw a figure in the moon, which seemed to look like his wife. It was believed that she became a goddess, causing people to offer sacrifices to her for peace and good luck. Mooncakes are truly quintessential to the Mid-Autumn Festival. 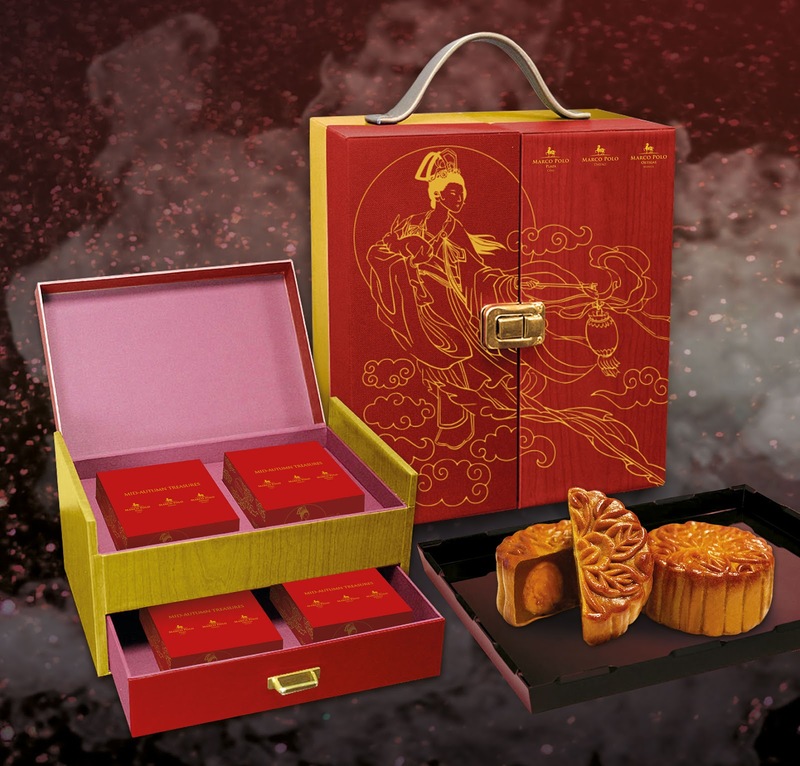 As part of the cluster project of the Marco Polo hotels in the Philippines—Marco Polo Ortigas Manila, Marco Polo Plaza Cebu, and Marco Polo Davao—enjoy these special mooncakes for Hou Yi (box of 4), and Chang ‘E (box of 6) gift boxes, available at Php 2,288 and Php 3,388, respectively, at the properties mentioned. 15% savings can be availed for orders from July 15 to August 31, for a minimum of 5 gift boxes. Lung Hin is located at the 44th floor of Marco Polo Ortigas Manila. To know more about the hotel, visit www.marcopolohotels.com. Follow the Hotel in Facebook at facebook.com/MarcoPoloOrtigasManila or @MarcoPoloManila on Twitter or Instagram.